Equity vs Equality vs Justice: How are they different? Samty Xiong, Equity Specialist from The Food Group, led a fabulous workshop on cultural competency and has generously offered to share the slides from her presentation to anyone who might be interested at ICA. 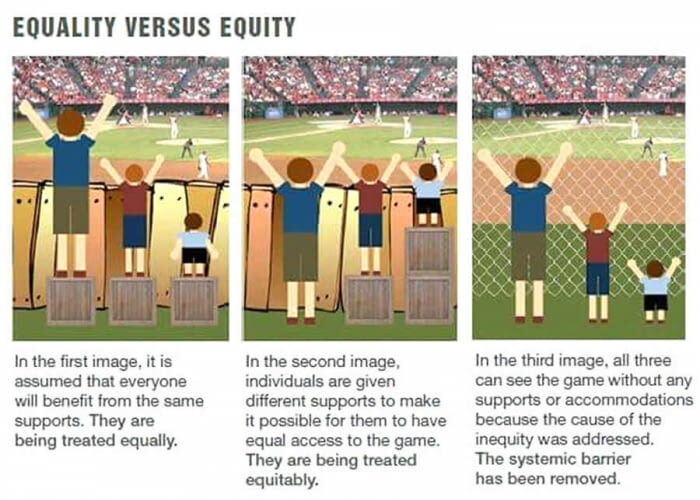 This image and accompanying text explore the differences between Equality, Equity, and Justice. How can we embrace Justice (shown in the image on the right) in our work at ICA?